What is Compliance Labeling? | Taylor Data Systems, Inc. 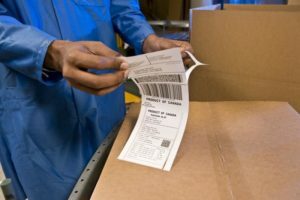 Compliance labels are those with printed information, logos, and/or barcoding for a product with specific standards based on its respective industry. In some cases, these labels must meet specifications or regulations set by applicable government agencies like the USDA or universal safety organizations like OSHA. These standards have been created to ensure safety, quality and efficiency, and found to be prevalent in the food, drug and automotive industries. The information on a compliance label varies based on the product and industry. A label may include date of manufacture, expiration date, lot number, location identification, industry and safety organization logos and more. Each label requirement will dictate what type of information needs to be on the label. Customer satisfaction and loyalty mean a successful, long-lasting relationship. Preparing your business for compliance labeling requests makes your company appear flexible, technology-savvy and shows a willingness to support your customers business. It also helps to foster stronger business ties because you are providing a value-added service to your customer that your competitor may not be able to offer. 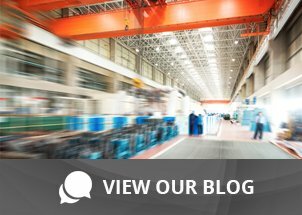 It’s important to understand the regulations, requirements and government mandates for the products you manufacture or distribute. This allows your business to be perceived as ‘industry expert’ giving you a possible edge over your competition. We often hear from customers that they are having difficult complying with customer labeling requirements, and it can be a slippery slope if the proper hardware, software and label media are not being used. In many situations, it requires a programmer to design the label, research the appropriate markings, logos and other required information; not to mention the item-specific information that needs to be included. What information is required on the label to be in compliance? Is a barcode needed on the label? Compliance labeling is serious business! Refusal to follow guidelines, and/or inability to fulfill the requirements as directed can lead to packaging and shipping errors, costly non-compliance fees and even lost business. If you’re being asked to properly label products and/or shipments that are going out the door, we can help you put together a plan — along with the hardware and media you need — to effectively and accurately comply with customer requirements.